Posted by Dad on January 13th, 2017 in General Add Your Thoughts! Just when I thought the holidays had passed and there wouldn’t be any more presents until birthday season roles around, the denizens of the home school universe dropped a few surprises on Dad’s virtual doorstep. 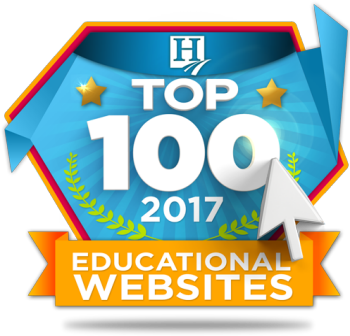 Our long time friends over at HomeSchool.com have again named DadsWorksheets as one of their top educational websites for the year, and I’m proud to be in the company of so many other amazing online resources for teaching math and an encyclopedia of other topics. And over at HomeSchoolBase.com, we made both their 100 best sites of 2017 as well as their top 10 list for worksheet resources! A double honor! HomeSchoolBase is a relatively new place to visit, but they already have a library of great articles and resources. Both HomeSchool.com and HomeSchoolBase.com are fantastic resources for finding materials for home or classroom use. Check them out! Click either of the images above to go to their Best of 2017 lists. Then get right back here for your math facts worksheets! Thanks to both of these sites for recognizing DadsWorksheets and Happy New Year, Everyone!